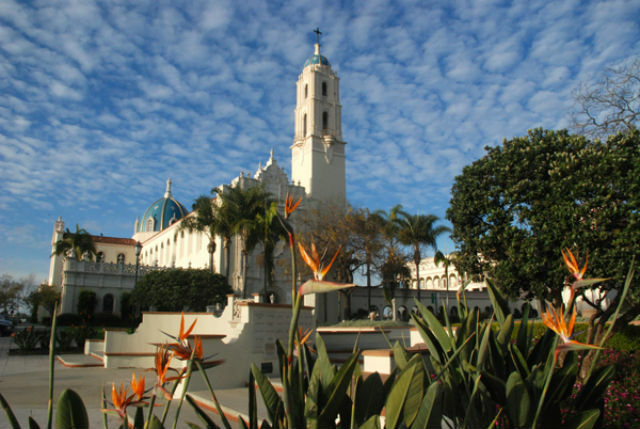 The University of San Diego has expanded its Torero Promise admission and financial aid program to Catholic high schools in Riverside and San Bernardino counties. The expanded program now provides automatic admissions and financial aid to qualifying students graduating from eight Catholic high schools in Southern California. The new schools are Xavier High School in Palm Desert, Aquinas High School in San Bernardino, and Notre Dame High School in Riverside. To be eligible for participation in the Torero Promise program, graduating seniors must have a grade point average of 3.75 or above. The program began in 2017 with five local Catholic high schools, including the Academy of Our Lady of Peace, St. Augustine, Mater Dei, Cathedral Catholic, and Vincent Memorial. The Torero Promise program has the potential to assist as many as 1,400 high school seniors at the eight participating schools. The University of San Diego has more than 9,000 students from 85 countries and 50 states.